Apple as expected announced two new brand handsets in its iPhone lineup. 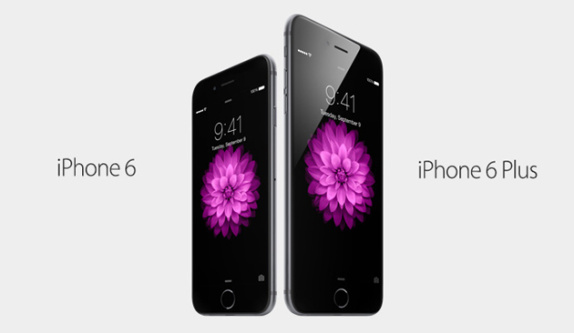 The one comes with 4.7-inch display and another dubbed as iPhone 6 Plus comes with massive 5.5-inch display. After many rumors for months, Apple has made both the devices official. The iPhone 6 looks very similar to the previous generation, but sports a 4.7-inch display having screen resolution of 1134 x 750 pixels. The iPhone 6 Plus comes with 5.5 inch display having screen resolution of 1920 x 1080 pixels. The smartphones comes with dust and water resistant features. The camera has been updated to 8MP and has a five-element lens and a new sensor, which includes a technology Apple calls “Focus Pixels”. The improved camera includes features like better noise reduction, more accurate tone-mapping, 30 and 60 fps recording at 1080p improved slow motion and image stabilization to keep image steadier. Both the devices are powered with Apple A8 dual core CPU clocking at 2GHz. The iPhone 6 will come in 16GB, 64GB and 128GB variants. The 16GB variant will cost $199, the mid-level 64GB will cost $299 and the 128GB is priced at $399. The iPhone 6 Plus comes in the same capacities, but adds $100 for each price point. So the 16GB will cost $299, the 64GB $399 and the 128GB will cost $499. The devices will comes in Silver, Space Grey and Gold colours and will go on sale starting from September 19.